The title of my blog this month is a nod to my youngest sons first word, CADO. Before he could muster up the name dad or mama he was screaming for more avocado. CADO! The avocado does not fall far from the tree because it is also one of my all-time favorites. As a chef I find it is one of the best ways to add fat to a dish and stay within the healthy meter of your eating. 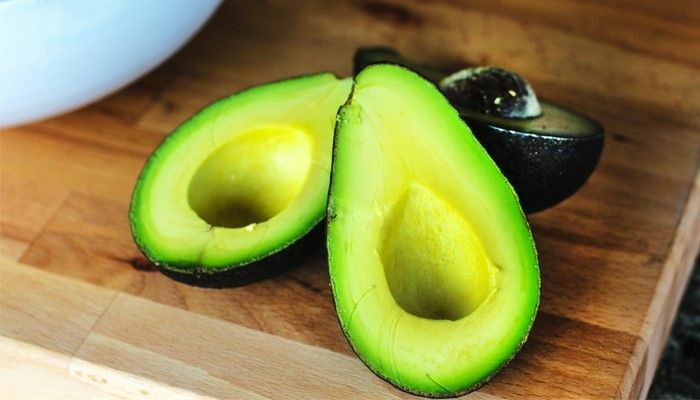 For more information about the health benefits of avocados check out Kathy’s blog here. The avocado truly is an amazing vegetable? Or Fruit? This tough skin healthy tear dropped veggie has numerous applications in everyday cooking. I tend to enjoy avocados mostly in the spring and summer when they are grown closer to the Pacific Northwest. The less travel for a vegetable means they ripen it longer on the tree or vine which means more flavor for you! This month I am giving you two recipes for avocados. These recipes are built to replace the use of traditional fats like oils. Enjoy! 2) Add the lemon zest and juice. 4) Drizzle in cold water until liquid forms and the avocado is smooth. 5) Add seasoning and blend. 6) Scrape sides of the blender and puree some more. 8) Place in bowl and place plastic wrap right on top. So there is no air. 9) Refrigerate for 30 minutes before serving. Uses: Great on tacos, placed on fish or chicken. 1) Place the red wine vinegar, garlic, shallot and coriander in blender and puree for 2 minutes. 3) Add avocados and puree. NOTE: if the mixture is too thick, add a little water to thin out. 4) Turn off blender and pull top off. 5) Transfer to a bowl. 6) Mix in feta, mint, white pepper and salt to taste.